The Bin 24 by Korbo is a practical storage basket with a capacity of 24 litres. With its handle, the basket can be simply lifted or, if necessary, with the right accessories: Basket Hanger, simply hung up on the wall. A perfect companion if you want to use it as storage for toys in the childrens’ room for paper or other things. Korbos handmade wire baskets go back in time up to the early 1920s in Sweden. The baskets are timeless and beautiful tools, which were used by farmers and fishermen for reliable transportation and storage at that time. They resist wind and weather and last permanently because they are made out of just one piece of wire and without any welds. The Korbo baskets are available in two variants of steel - zinc-plated (galvanised) steel or stainless steel. Both versions are rust-proof. Galvanising is a process to prevent corrosion in which a physical barrier of zinc is placed on the surface. Galvanised steel has successfully been used for over 150 years and the wire will get a nice, matte patina over the years. However, the stainless steel contains nickel and molybdenum which create a completely stainless connection when combined with the steel. Unlike galvanised wire, stainless steel not only protected against corrosion on the surface but completely rust-free. The basket made of stainless steel stays shiny no matter which environments and weather conditions they are exposed to. I mount these baskets on the wall of the mudroom to keep shoes off the floor which allows the floors to be more easily cleaned. The open construction allows airflow keeping shoes dry. Single image of the Bin 24 Wire Basket by Korbo. This unique design consists of a single long wire which is hand-woven without using any welding equipment. Detail view of the Basket Hanger for the Bin wire baskets by Korbo. 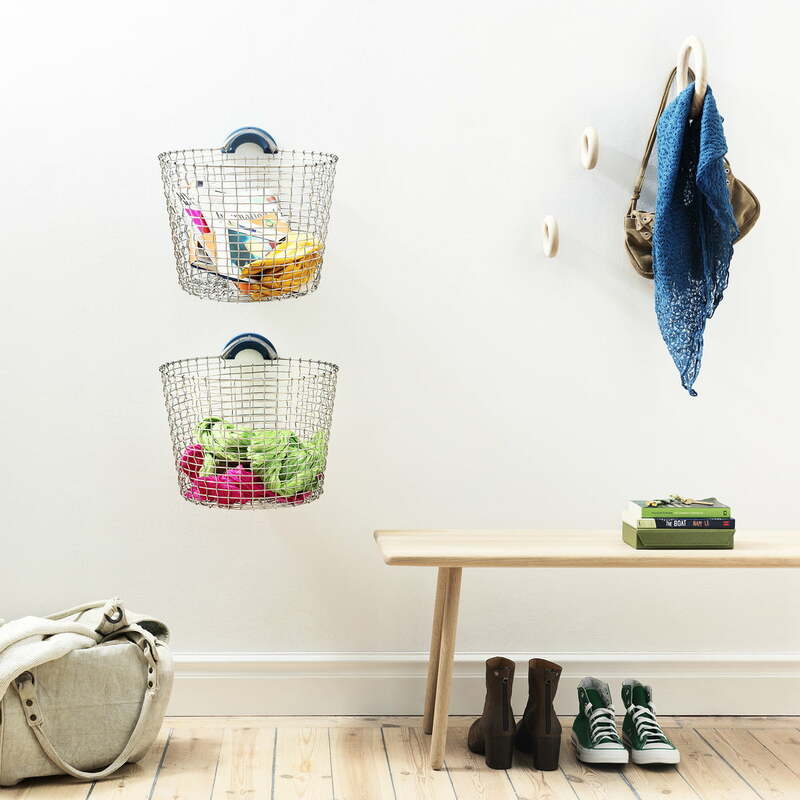 The Bin 24 Wire Basket by Korbo has a handle that can be hung up on the wall by a separately orderable hook. WHen equipped with the Basket Hangers, the Bin 24 wire baskets make sure that your bedroom or hallway stay tidy. Not only clever and space-saving, but also very chic and made of high-quality. 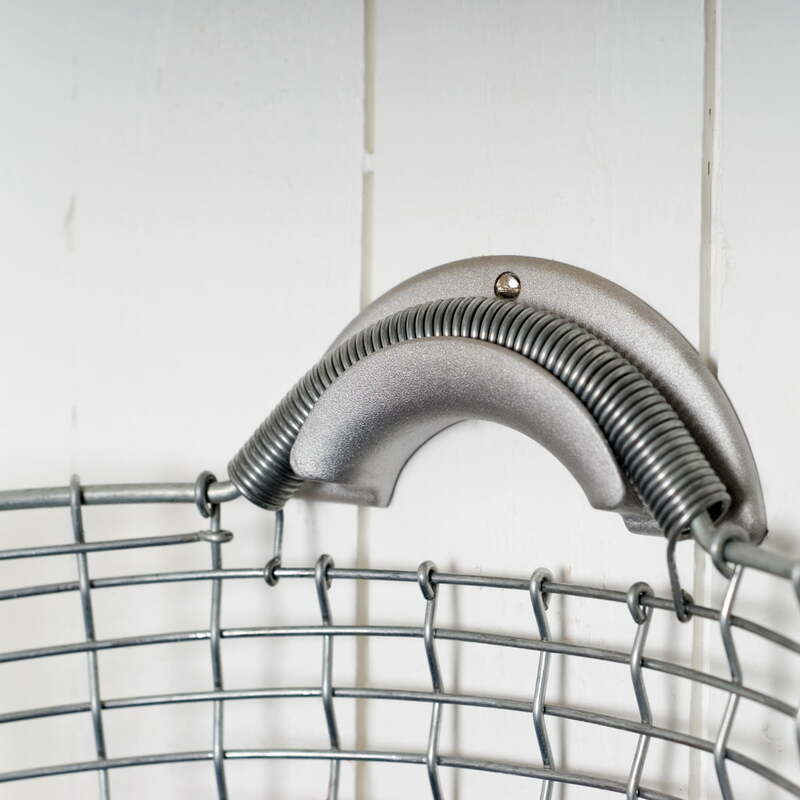 The Bin 24 wire basket by Korbo is made of stainless steel and stores perfectly all the small things in your dressing or bedroom. 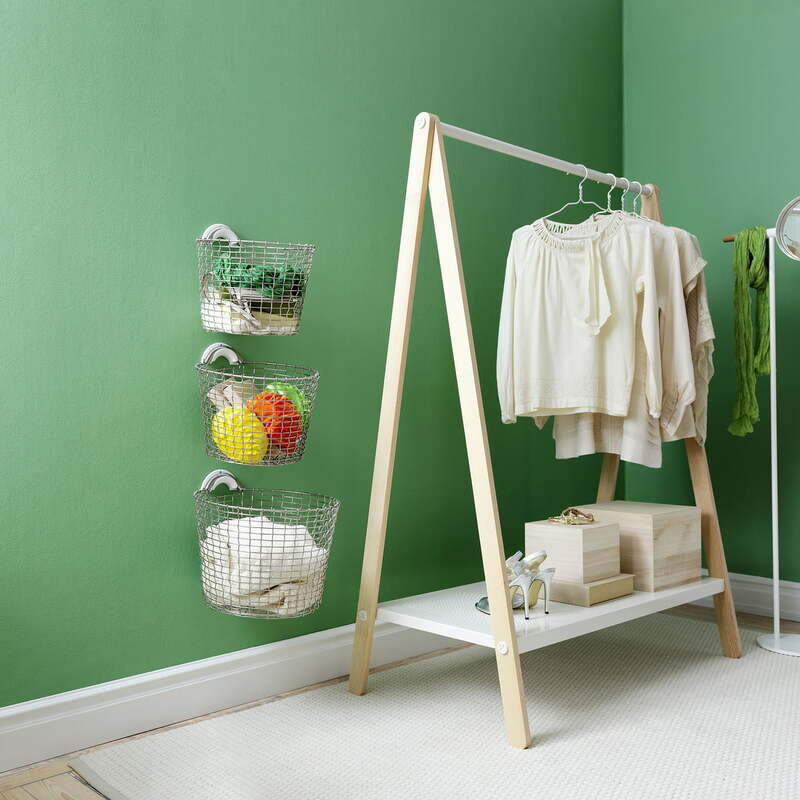 Escpecially space-saving and stylishly used, when the Bin 24 is equipped with the Basket Hangers and hung up on the wall. 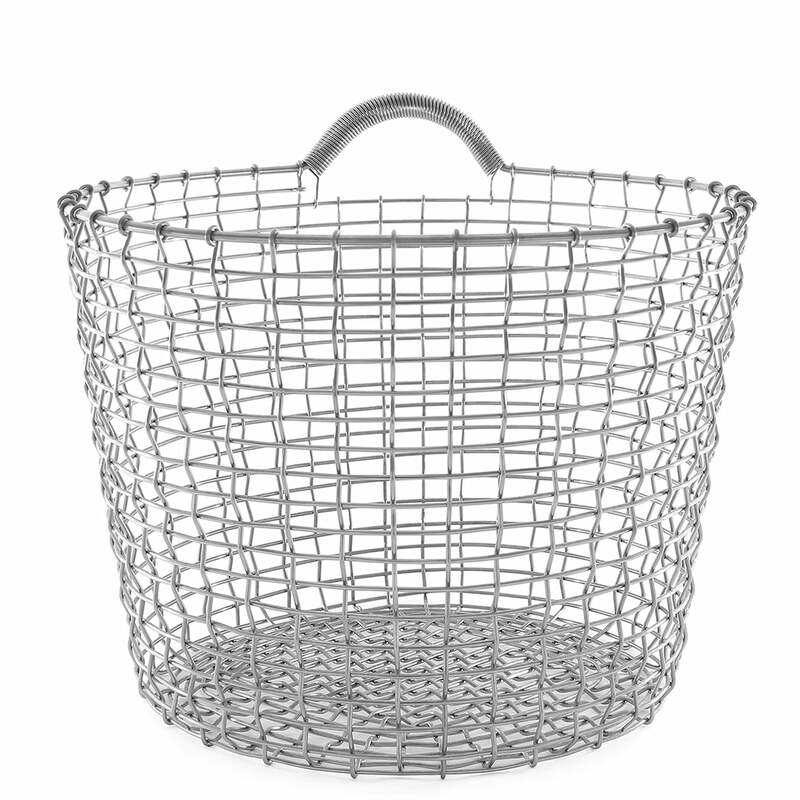 Stylish wire basket as storage possibility: the Bin 24 made of stainless steel by Korbo is a true allrounder! It can function as storage space, shopping basket or for storing magazines. 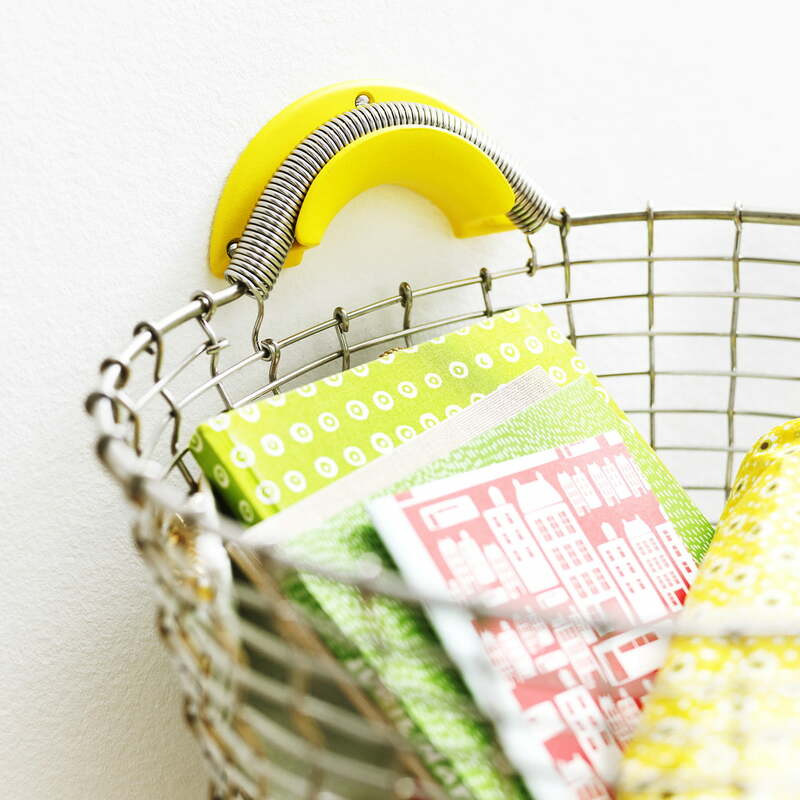 Equipped with the Basket Hanger, the Bin 24 becomes a stylish accessory for storing things on the wall. 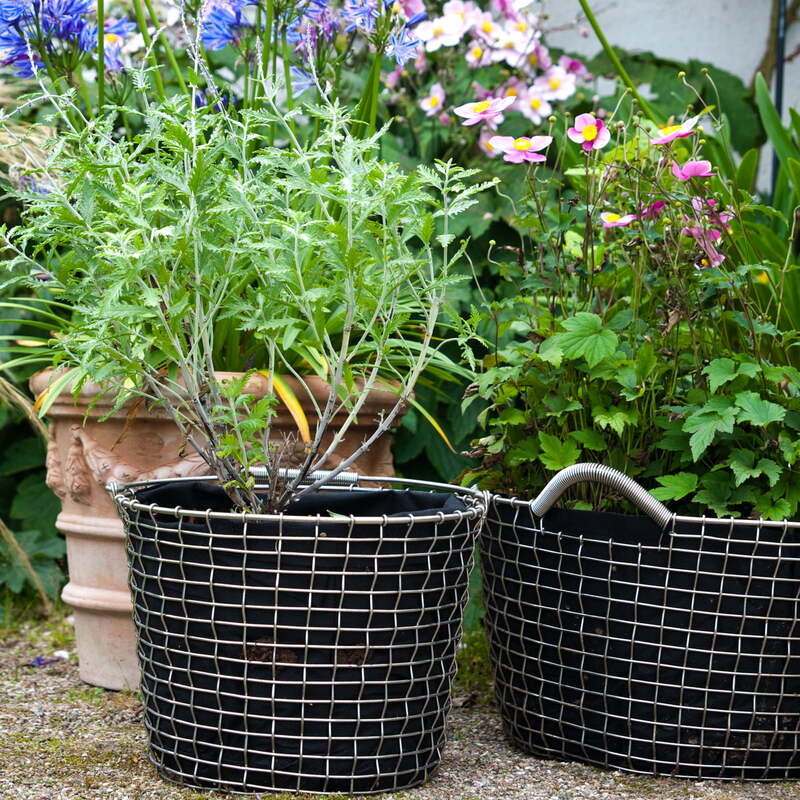 If the Bucket or Bin Wire Basket made of stainless steel by Korbo is equipped with the Planting Bag, it is also suitable as a cachepot for flowers and plants.